There’s an Exclusive VIP Broker Sales Event coming up in October, for this exciting new project. Arrive in style. FAD : Fashion District Condominium. Coming to a runway in the Fashion District, where Spadina meets Queen West. Fusing the Garment District along Spadina with the trend setting fashion scene of Queen West. The result is a hip, fashion forward residence FAD : Fashion District Condominium, a stunning residence where style is its core. Introducing FAD Condos, located at 170 Spadina Ave. Presented by Tri-win International, FAD will be a contemporary tower that will add some cool yet respectful architecture to the corner of Spadina and Queen Street West. Designed by Wallman Architects, FAD Condos will do something we love: take a small pocket of underused land and transform it into something of which the city can be proud. 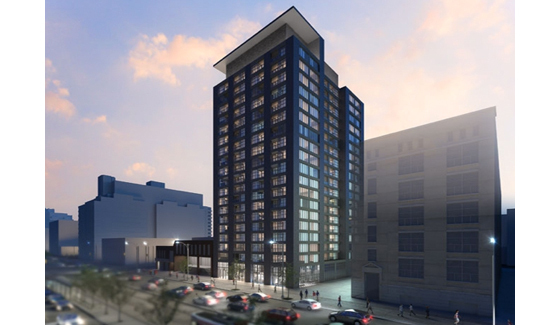 FAD will rise 19 storeys on what was once a low-rise commercial building. The project will include 210 units, with just 44 parking spots in an underground garage. Suites are starting in the $200,000s.